You may not realize it, but visiting a small group for the first time can be intimidating. Here’s are 10 ways to make it easier for a new person to fit in. Pay attention to inherent inviting rhythms. When is the best time to invite a friend to your group? If your group is in the middle of a six-week study, will it be awkward for new person to join you? Instead, perhaps you could wait for the beginning of a new study. Is there “stuff” going on in your group that needs to be worked out before inviting a new person? For instance, if you’re in the midst of a group conflict, it may not be a good time to ask someone new to join you! Or if you’re working through a tender issue, such as a couple’s serious marriage problems, deal with that first. Pray for your friends you’d like to invite. Ask God to open their hearts and to give you opportunities to grow your friendship. Invite your friends into your life before you invite them into your group. Spend time together. Introduce them to a couple other people in your group. Find common ground between your friend and another member of your group. Go to a ballgame, movie, or out to lunch together. Before you invite them to an official group meeting, extend an invitation to a fun group event. This is a great way to break the relational ice in a more natural social setting. Talk about your group, why you like it, and how it’s helped you grow. Share this in the natural rhythms of conversation. Don’t force it! When you sense the time is right, simply ask your friend to join you the next time you meet. The best time to do this is at the beginning of a new study topic that would be of interest to your friend. By this time, your friend may be waiting for an invitation! When they agree to come, tell them what to expect. Think about what you would want to know before coming to your first meeting, such as what to wear, what to bring, what you’ll be doing, how long the meeting will be, and so forth. If they have kids, be sure to tell them what arrangements the group has for them. If the group does not provide child care, perhaps offer to help arrange something with them. Pick them up. It will reduce their anxiety (and assure they don’t back out) if you offer to drive them and walk into the host home together. Have a plan for when new people show up. Be prepared to do something fun and non-threatening when a new person joins you the first time. Your group may be at a good-friend or even family level in your relationships, but the new person is probably at best an acquaintance with most of the other members. So plan some entry-level activities. Don’t expect them to jump right in to the existing group dynamic. Watch out for things like insider jokes. Be authentic. A tension exists between having a plan for when new people show up and being authentic. Just walk this tightrope the best you can. I’ve found the best way to break this tension is to talk about it. Say something like, “Ellen, we’re really glad you’ve joined us tonight. This group started two years ago with Bob and Donna and Heidi and me. Jim and Jenny joined us a couple months ago . . .” (This shows Ellen that new people joining the group is normal.). “We’ve become pretty good friends and well, we have our idiosyncrasies, too. You know, everybody’s normal till you get to know them!” (Laughter is a great icebreaker.) Then explain what you’ve been up to as a group and where you’re going. But don’t make a long speech detailing every aspect of your group. Your guest will figure stuff out as you go. Encourage members of your group to be themselves. Your guests will find out soon enough who you really are. Be normal. You’re a Christian small group, so your guest will expect you to talk about spiritual things. But it’s also fine to talk about sports, work, kids, movies, and so forth. Talk about what each of you is passionate about. If you have been praying for this person, it’s OK to let them know that (without getting overly serious about it). Introduce everyone. When a group starts, we usually introduce ourselves and tell our stories. When new people show up, it’s like a new group to them. The rest of the group may have moved past history-sharing icebreakers, but these are very helpful when a guest joins you. “Where did you grow up?” “Who was your best friend growing up?” These and other such questions can help get everyone on the same page faster. Explain (almost) everything. 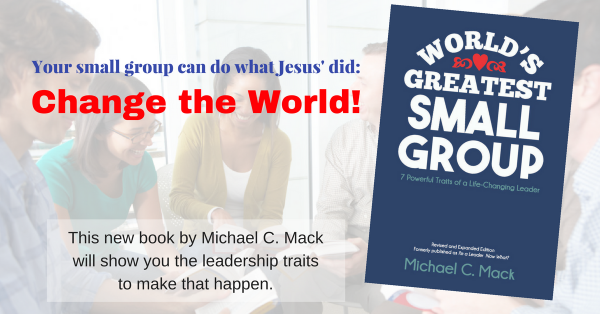 If you had never been to a small group, what would you like to have explained? Of course, don’t overdo this, but take a moment during the meeting to clarify what you are doing and why. By the way, what seems normal to you may seem odd or confusing to a non-Christian. Be careful not to be condescending! Don’t assume that a guest will or will not read, pray out loud or not, or engage in conversation. Just ask. Most institutions exist for the people who are already in them. But not the church, and not your small group! You exist for the people who God has put in each of your circles of influence so that you can make an impact on their lives. Be like Jesus, who came “to invite outsiders, not coddle insiders” (Matthew 9:13). How to Build a Group of Real Friends: Throw Away the Signup Sheets!